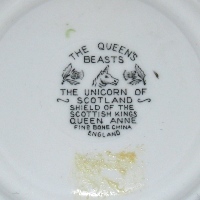 Vintage Queen Anne Unicorn Queen's Beasts Teacup and Saucer! 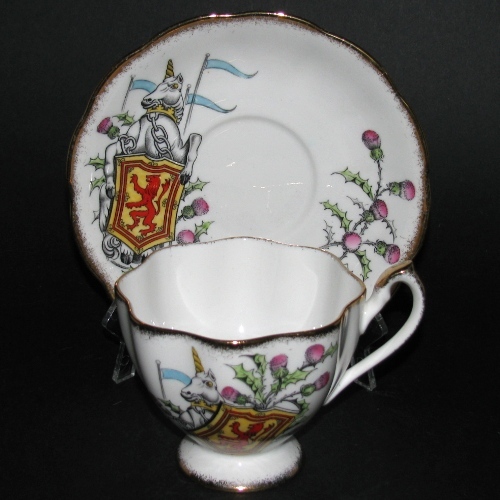 FABULOUS Queen Anne Queen's Beasts Unicorn of Scotland, Shield of the Scottish Kings, teacup and saucer. 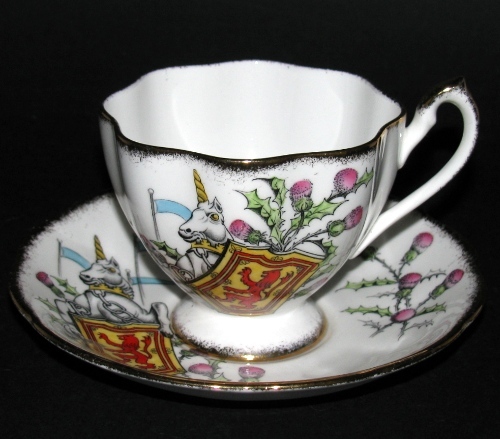 Teacup measures 2 3/4 inches tall by 3 1/4 inches across. Saucer measures 5 1/2 inches across. Fabulous historic piece inspired by one of the Queen's Beasts 11 figurines now residing in a Canadian Museum.